You don't need to have a big garden to grow some things that you can eat. For some things, you don't need a garden at all! 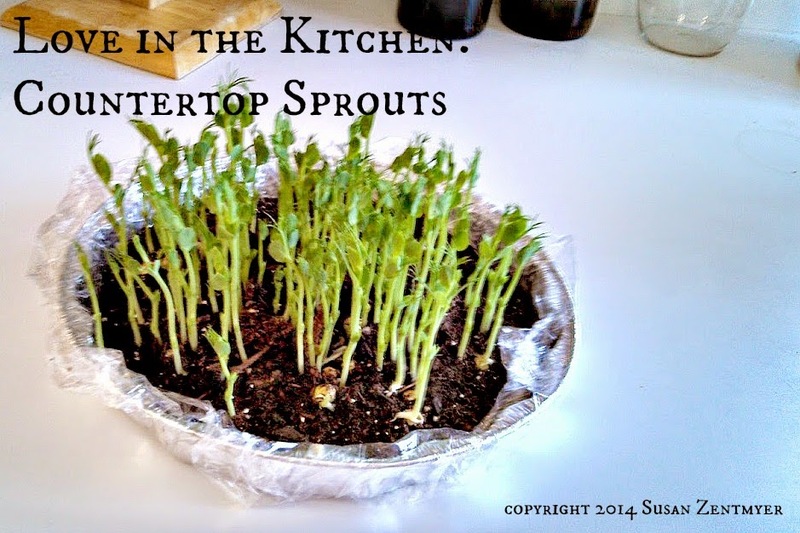 A pie tin filled with potting soil and some sprout seeds (one source for seeds is Sprout People) is all you need... and you can grow it right on the countertop. 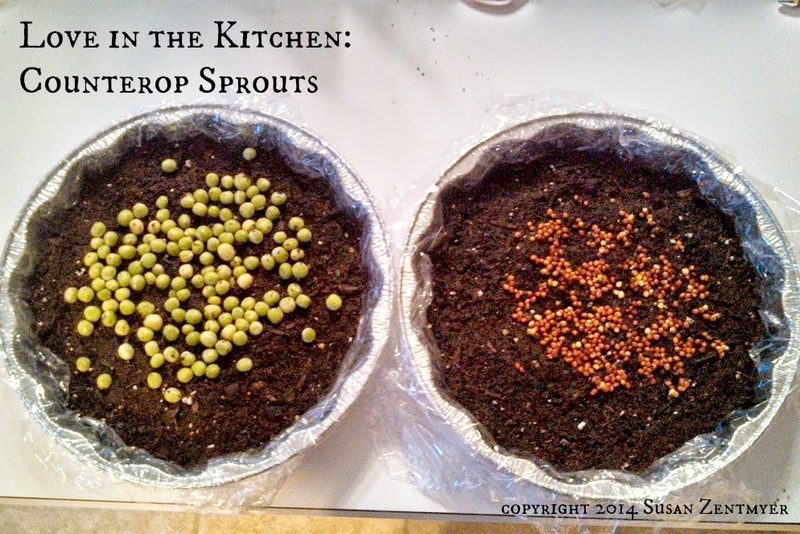 These sprouts grow in just a couple of days - a great summer project for young kids. If your kids grow the sprouts, you might even get the kids to eat the sprouts! Sprouts are just the beginning growth of a seed. It really isn’t that much different than those first little pops of green that speckle the earth in your garden come spring. When you keep the seeds moist they begin to sprout and create tiny little plants. Whereas the seed would be difficult to digest, this new “sprout” turns into a nourishing plant food. A few tablespoons to half a cup of seed are all you need to produce ample sprouts for sandwiches, salads, and other dishes. Sprouts will double or triple in size, depending on the size of the seed and the variety you are sprouting. Keeping things small will ensure you don’t end up with sprouts going bad in your refrigerator. In general, use 2-3 tablespoons of small sprouting seed (alfalfa or clover) and 1/3-1/2 cup of larger sprouting seed (lentils or beans) for ample amounts. Quinoa is one exception: this ‘pseudo-grain’ sprouts small and stays small. Rinse and clean your seeds to remove any dust or other debris. 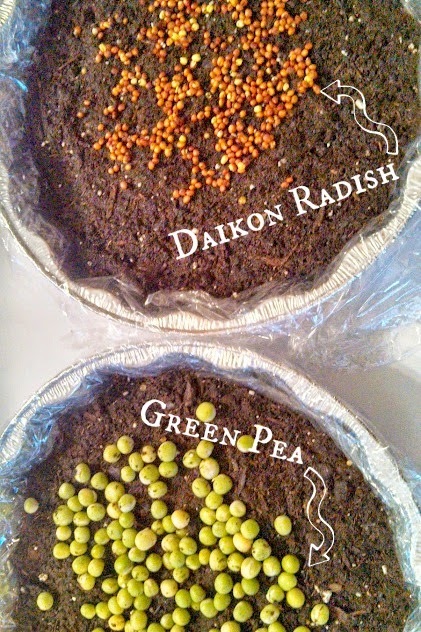 Spread evenly in your container so seeds form a thin layer. Avoid piling seeds on top of one another. After your seeds have sprouted, continue to rinse and drain regularly (every 8-12 hours) until sprouts reach the desired length. Do you think you could grow these? 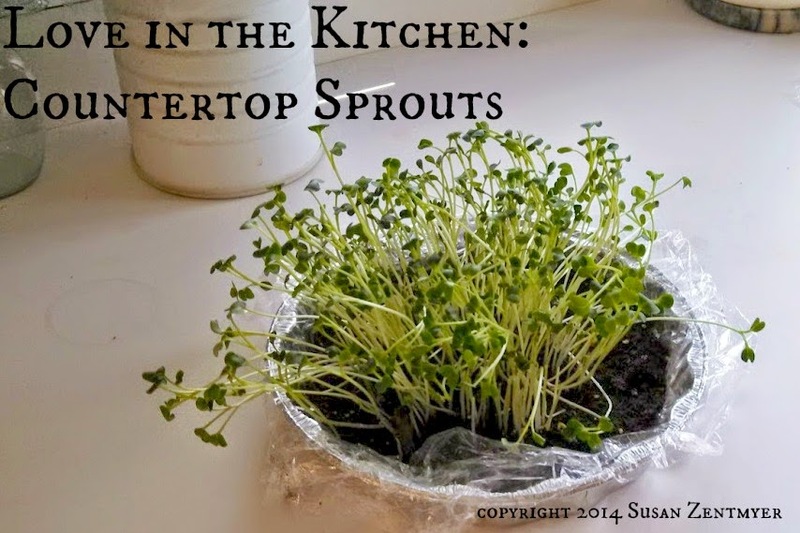 Would you like to have fresh sprouts for your dinner straight from your countertop? Oh I love sprouts!! This looks like a great way to grow them!